Experience the soft warmth of carpeting and enjoy a welcome landing spot for happy feet. Carpeting muffles sound to make any room more serene, and the plethora of textures, colors, and patterns enhance the style of your home. You’ll also appreciate the built-in dirt and stain repelling technologies! 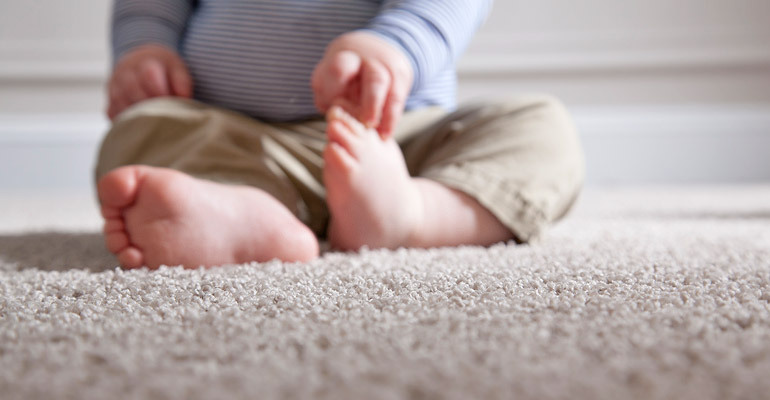 Many of today’s carpets can withstand pets, kids, and heavy traffic. At Flooring Creations, our experienced and friendly design staff will not only work with you answering all of your questions, but our main focus is on customer service and aesthetics, which allow us to provide the highest quality carpet flooring available today that will also enhance the beauty of your home. Stop by our beautiful showroom to see and feel all of the beautiful carpet options available. With our wide selection of quality carpets, you are sure to find the perfect carpet that meets all your wants and needs. A good ballpark on a good quality nylon average priced carpet with installation will run you around $5.00-$6.00 per square foot. This would obviously include the carpet, (good quality Nylon = $3.49–$4.99 sqft. ), premium pad, professional installation and demolition and disposal of existing carpet. Furniture moving and stairs are additional. Please ask for our Smart Strand Brand and or our Solution Dyed Nylons. Pets and kids are no match for resilient Smarts Strand and Solution Dyed nylon. It is performance-tested to stand up to the heaviest traffic. Great For: Areas that see a lot of action, like living rooms, hallways, stairs, and playrooms. With excellent durability and built-in stain and soil resistance, our Smart Strand (Triexta) and Solution Dyed fibers resist stains and wear without sacrificing softness. Textured carpet has a very soft feel. Comes in Two-toned and Multi tone looks. It is a casual look suited for any room. Its tight-twist (higher quality) construction helps resist matting & crushing, so it’s a good choice for areas with a higher amount of traffic. Level loop (Berber) contains tufted, uncut loops of equal height or patterned options. It’s durable (must be nylon), easy to maintain and a great carpet for high-traffic areas and informal rooms. Level loop, however, is known to be harder and stiffer than the other carpet options. Cut and Loop or Pattern offers a combination of cut pile & loop (creating a pattern look), allowing more options of patterns & textures. Cut and loop achieves a pattern with varied levels of uncut low loops and sheared top loops. Cut and loop is considerably softer than level loop. Pattern carpet has patterns that range from simple geometrical to more casual abstract (most popular) and some botanical as well. With so many different colors, along with all the other style options, to choose from for your carpet, it can get a little overwhelming. However, to make it a little easier, you can try to choose carpet color shades that match the overall mood or tone you want to set for each room. Try cool blues or greens to create a calm, peaceful setting, or warm shades from the brown family or golden shades to make a large space feel cozier. Also, light colors can make small rooms feel larger and more open. Our staff will help you make a great choice so please come visit us.